Happy Sunday everyone! I am SO pumped to get my 'Beauty Basics Series' started! We are starting off with eyes. Eyes are always the first thing I notice about people... they say they are the windows to your soul, and when people are looking into mine, I want to make sure they have a lasting impression! 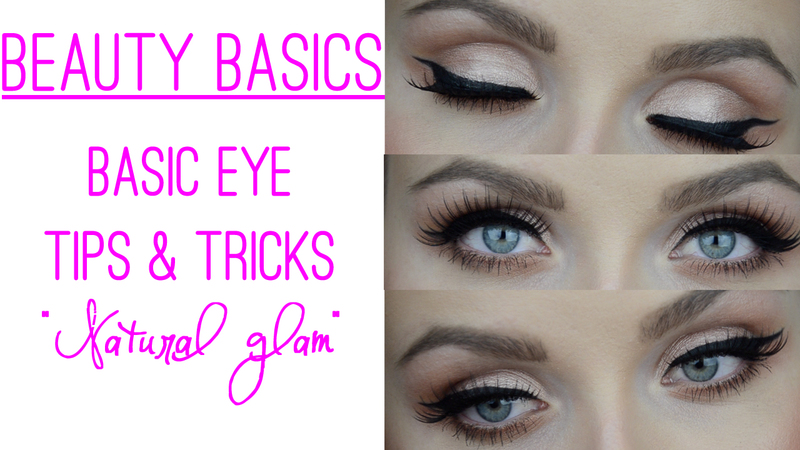 So I've decided to make this video ((which happens to be one of my FAVORITE eye looks)) and really focus on the basics. I'm talking BASICS people.. some of you might think, ok this is boring I know all this already, but it never hurts to go back to the basics! So, if you want to devote the next 12 minutes of your life learning some simple tips and tricks to help your peepers look their best then click HERE to watch on youtube, or click play below! Love it! You are so pretty and your makeup is bomb! If you don't mind my asking what camera do you use? These videos are so fun! Thanks for posting the basics here. Can't wait to see more! Also, can I ask what brand and color your lipstick is in this video, and will you be making more videos on false eye lashes in general? Thanks again! Dear Jaymie, this waiting for a whole week thing is killing me, but thanks for telling us what lipstick you are using in this video and about future plans!